Toronto is a proper global city, with the buzz of more than 100 different languages heard in world-class restaurants and vibrant bars. Sure, it’s cold in the winter, but still full of activity and the views over the lake really make the cityscape unique. 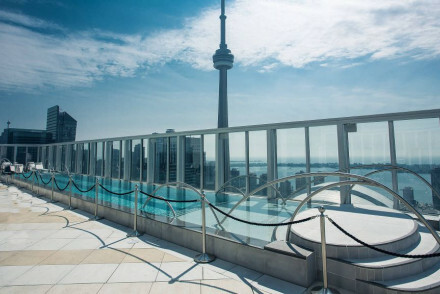 Some of the best places to stay in Toronto boast spectacular views over the city and the lake. With its efficient public transport system and grid layout, Toronto is a pretty easy city to make your way around, but we all have our tastes and for you the best places to stay in Toronto might be very close to great restaurants or music venues to make your evenings that bit easier - or far away from them if you prefer things to be peaceful. 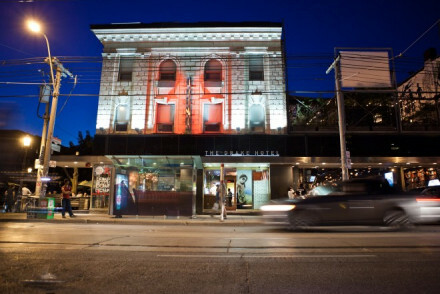 Downtown Toronto is an obvious choice for visitors: you’re close to everything and Queen West is hip. China town is also a great option if you want a central location, contemporary design hotels, a bustling atmosphere and great food. Some of you will want to be close to the golden sands and serene views of Lake Ontario? 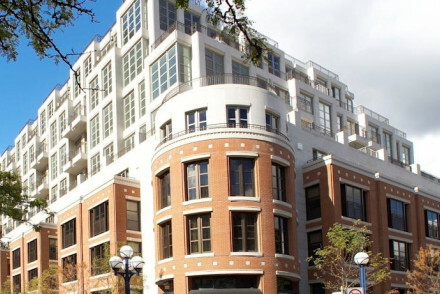 Or, if you’re looking for something up-market close to elegant restaurants then Yorkville is for you. If you’re looking fro somewhere quieter, or a great value hotel, then try Scarborough. If you want to get away from the bustling, cosmopolitan heart of town, that’s possible too. 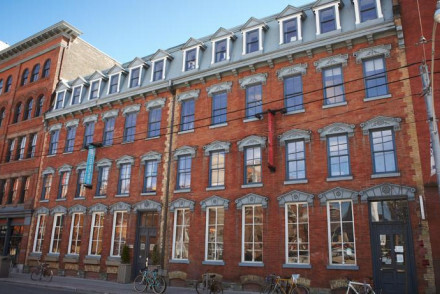 In fact one of our Guru’s picks for the best places to stay in Toronto is a quaint old converted mill surrounded by green space. It’s also just a short walk from the metro. There are some wonderfully ostentatious historic downtown hotels and a great restaurant with rooms. You might want to begin with the CN Tower, the obvious starting point for any visit, it pierces the skyline like a giant hypodermic needle. High Park is another local icon, as is the sensational St Lawrence Market with its amazing collection of food and historic treasures. The Royal Ontario Museum is Canada’s largest natural history museum and one of the biggest museums in North America - there are around six million specimens on display. 401 Richmond is a fantastic spot for art lovers, or you can wander through the impressive Graffiti Alley and marvel at the colourful displays of street art. The Elgin and Winter Garden Theatre is an old Edwardian wonder just waiting to entertain you for an evening. 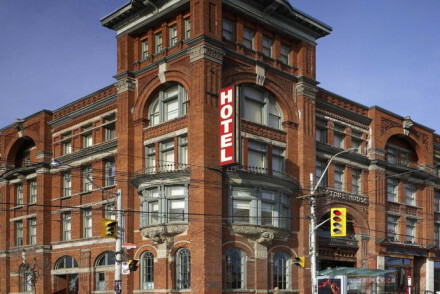 Just don't forget that this is an immensely popular city year round, so if you want to be sure of a room in one of the best places to stay in Toronto, do yourself a favour and book well ahead. If you want all the mod. 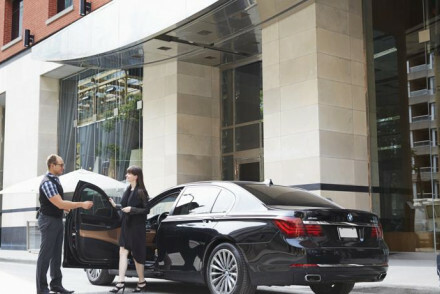 cons., plus rain showers, an in-room music service and a hi-tech gym, then Le Germain Maple Leaf Square is for you. There are 167 rooms plus a tapas and cocktail lounge. For an upmarket city break, Shangri-La is the ideal spot. This 5* boasts chic accommodation with marble bathrooms and floor to ceiling windows, whilst there's also a spa, pool and lovely restaurant. 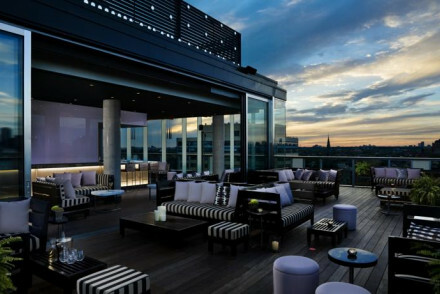 Le Germain Toronto is a chic, modern, 122-room hotel in the heart of town. The exterior is all glass and stainless steel, but there’s a wonderful library and espresso bar in the reception area, so all is not quite as sleek and modern as it seems. It also boasts a very popular French restaurant. 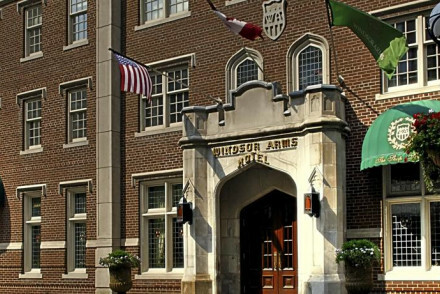 The Windsor Arms Hotel is a plush 1920s era hotel with wonderfully ostentatious decor - think chandeliers and pianos in the suites! And, there are just 28 rooms, so it's also fairly intimate. 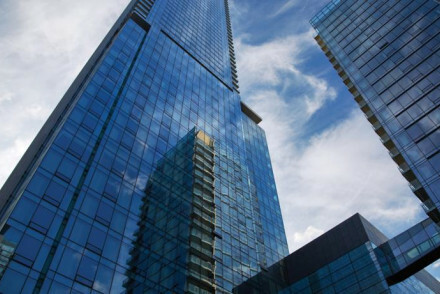 The Four Seasons Toronto offers all the luxury you’d expect from a Four Seasons property, plus amazing views of the city and Lake Ontario. 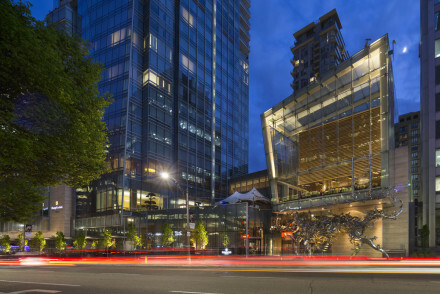 The Hazelton Hotel is a high end boutique hotel with city views and a cinema room. You’re right by the Royal Ontario Museum, a little out of the centre, but close to the markets and there’s a great atmosphere. Plus a good restaurant and spa. The Ivy at Verity is a restaurant with four rooms which has been beautifully converted from an old chocolate factory. Luxurious, with many original features, the rooms are beautiful and the restaurant very popular. Adults only. 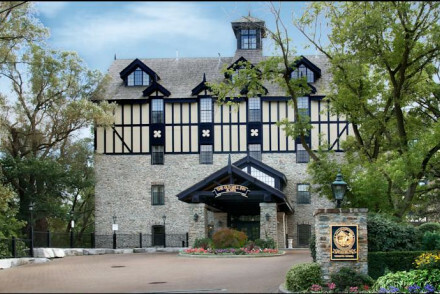 The Old Mill Toronto is a boutique getaway in the Humber Valley, just outside the city centre. You’re surrounded by tranquillity and green space, but still an easy walk from the metro. There are 57 classically decorated rooms and suites, a jazz bar and a large restaurant. Energetic and stylishly minimalist, The Drake is a youthful feeling boutique hotel with a lively bar and an excellent cafe. You’re in the art district bust still close to High Park. 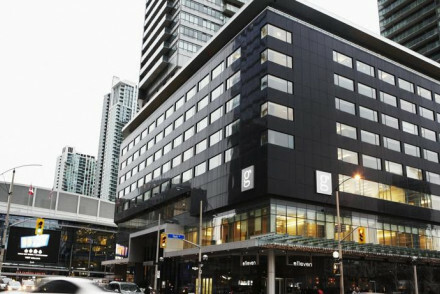 Thompson Toronto is right in the heart of the fashion district, a lively and luxurious hotel with 121 crisp rooms and a fantastic rooftop lounge with amazing city views. The Baldwin Village Inn has just six minimalist rooms, making it private and quite stylish, as well as great value - rooms start from around £75 per night. 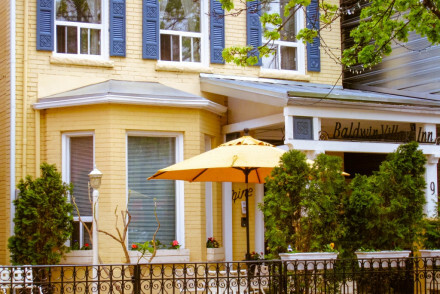 It’s also in a super location, just moments from some of Toronto’s best restaurants and within walking distance of many of the main sights. For closer to £100 per night you can stay at The Gladstone, a red brick, Victorian building with arty interiors and 37 boutique-style rooms. It’s quite luxurious, and there’s a great bar which has live music and a seasonally inspired menu. If you prefer self-catering then browse through the wide variety available online with our partner Booking.com. The average daily temperature reaches 21°C in July and August. This however is peak season, so for a quieter and cheaper alternative (albeit a tad chillier), consider coming in May or September. The winters are best avoided as it can get extremely cold. International visitors can fly into Toronto Pearson Airport, located 14 miles northwest of the downtown area. From the airport, there are plenty of public transport links to take you to the city centre. WestJet and Air Transat fly direct from Gatwick to Toronto, whilst Air Canada and British Airways go from Heathrow. Browse through our list of all the best places to stay in Toronto. Extend your search to include all our Ontario recommendations.